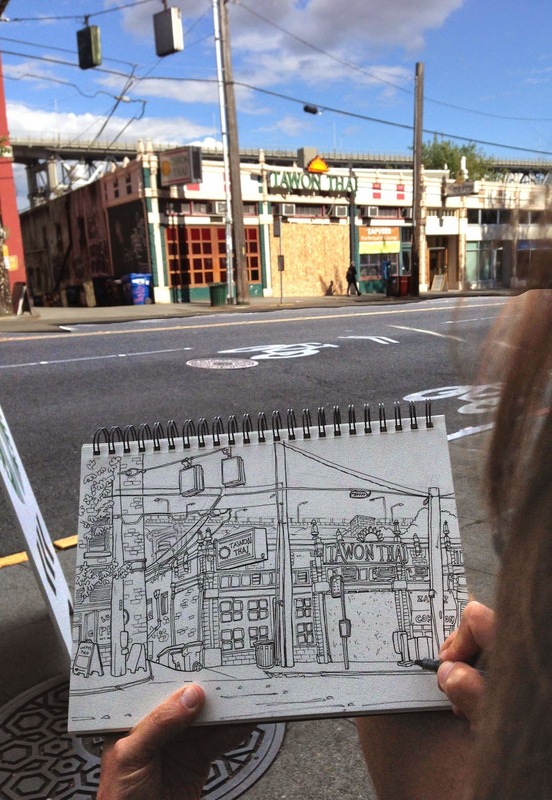 Urban Sketchers Seattle: Fremont again, this time facing east. Fremont again, this time facing east. 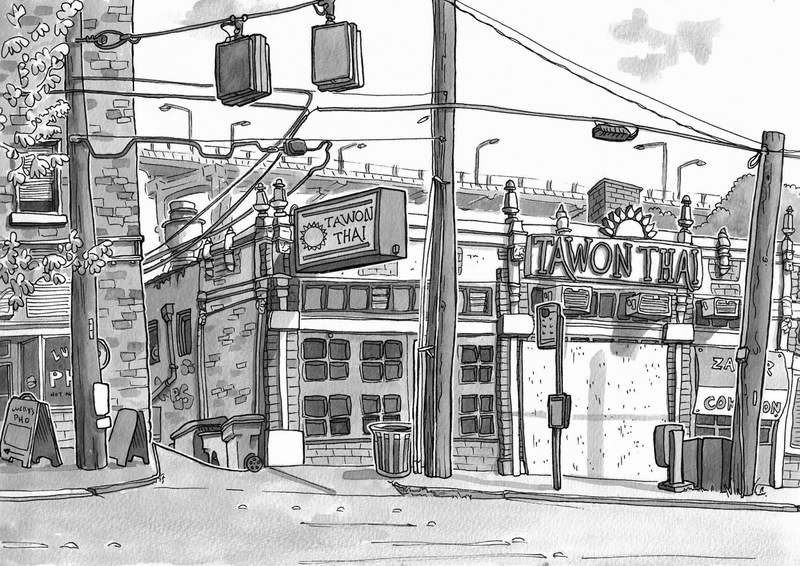 I tried to draw this scene several years ago but was overwhelmed by the detail and didn't like the finished drawing. Since then, I've learned how to reduce a scene in my minds eye into simple geometric shapes. The bigger obstacle was the constant traffic- frequent buses stopping right in front of me- and the noise, not just the traffic but the crashing from inside the Tawon Thai restaurant as they demolished its interior. But I stuck with it, partly inspired by the successful outing with the USk on Sunday, and partly determined to not let the scene defeat me and redraw the picture I failed at before.